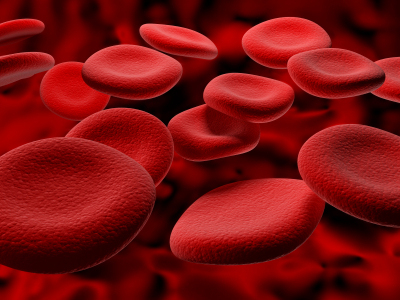 Iron Deficiency – Is it the only cause for Anemia? Do you feel tired and fatigued very often? Are you facing a problem in retaining the stuff you studied? Are you becoming very fair rather paler each day? If you’re a female along with these are you even facing a problem with heavy menstruation? Don’t neglect all these as just some routine small problems. Immediately go for a complete blood picture (CBP) test to get an idea if all these symptoms are related or may be due to daily routine as you thought. Most young individuals these days commonly face a problem with their insufficient blood cell levels. Mainly they suffer from an insufficient amount of hemoglobin levels. These might be caused due to lack of iron and whatever you are feeling right now comes under the category of iron deficiency symptoms. This is not only the case with youngsters but also with the geriatric population and individuals even between 35-50 yes. Anaemia is caused due to deficiency , Anemia is a disorder caused due to the less number of red blood cells and there by low level of hemoglobin in the blood. The main component of hemoglobin is iron and many other nutrients like folate, Vitamin B12 etc., contribute to the synthesis of red blood cells, so sometimes it is commonly called as iron deficiency anemia. Usually, people are in the misconception that only iron deficiency can cause anemia. Of course, it is a major cause but, there are many other factors too. Let us know the causes of iron deficiency. 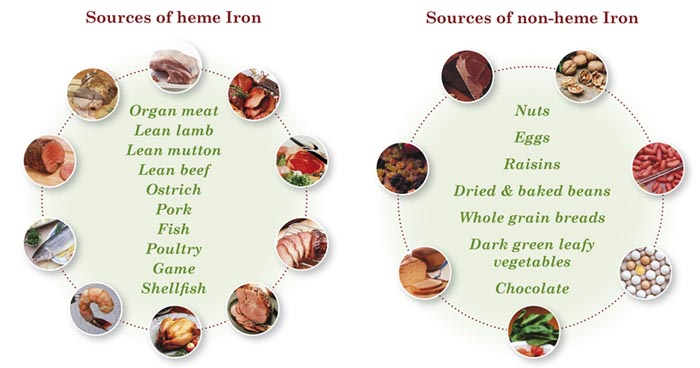 As you all know it is one of the major causes for anemia, this is why most of the times you are instructed to take iron supplements through diet. Especially this is important for a pregnant woman. To know the effects of iron deficiency on a pregnant woman, visit here. Anemia caused this way is called as iron deficiency anemia. Meat, leafy vegetables, sesame seeds, dried fruits (like raisin) and egg yolk are some of the foods rich in iron that you can incorporate in your diet to stay away from anemia. This may even be the cause of anemia for heavy menstruation or can even be caused by heavy menstruation. Folic acid and Vitamin B12 play a crucial role in the synthesis of new RBC’s. Hence, their deficiency leads to anemia. Iron deficient diet should never be neglected. Anemia due to folic acid deficiency is more prevalent during pregnancy because of the depletion of folate reserves in the body. So iron and folic acid supplements are always suggested to pregnant women. For young girls’ vitamin, B12 and iron supplements are prescribed more. Since, Vitamin B12 also helps them to be mentally strong (aids cognitive ability and memory power) with its role in neural health. Some symptoms of iron deficiency will be discussed now. Sometimes it gets difficult for our intestine to absorb nutrients. This may be due to different factors like Crohn’s disease, gastritis, any surgeries performed in the stomach and intestine. This can be due to the surgical removal of parts of the stomach or the small intestine which results in less iron in the body. This condition is usually arises either due to decrease in the amount of nutrients or may be due to any ailments like cancer, advanced kidney disease, diabetes, hypothyroidism, etc which alters the hormonal levels and may reduce the production of RBC’s. This condition may also arise as a side effect to some medicines consumed. So, iron deficiency anemia treatment becomes necessary. The disease is also caused in situations where there’s chronic blood loss due to gastritis, ulcers, piles, bowel cancer or due to the prolonged use of painkillers. It’s also common in women who had multiple pregnancies. Massive loss of blood in situations like an accident can also lead to the condition. So, be watchful on your blood levels and try to maintain required amounts of vitamins and minerals in the body to lead a healthy and happy life.